Do you have several children? Do you need to fit 3 children in 1 row in a vehicle? 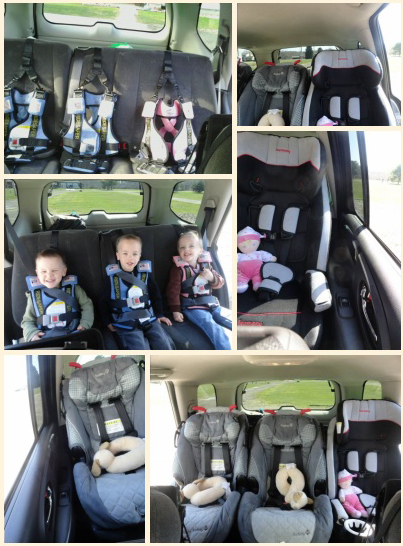 RideSafer® Travel Vest is an easy to use, convenient way to comfortably fit 3 children in one row in your vehicle. Whether all 3 children are the same age and in the same restraint or if their ages vary and one or two are in a RideSafer while the others are in other types of child restraint, RideSafer helps you fit 3 across in a narrow car.